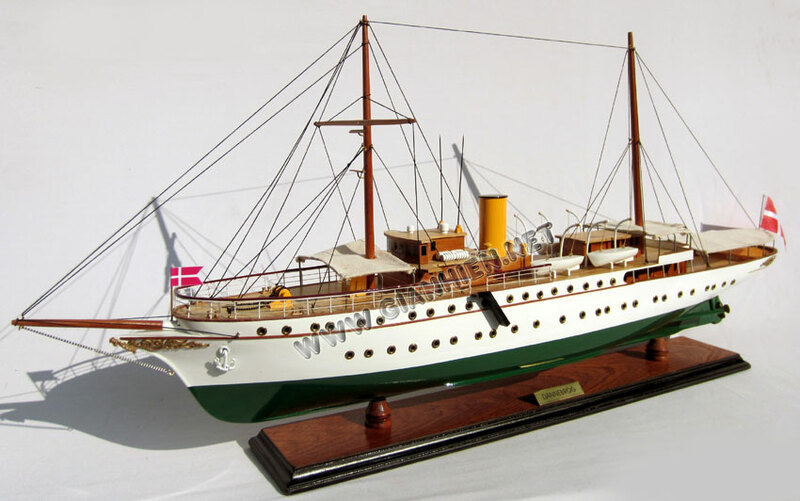 Her Danish Majesty's Yacht Dannebrog (A540) (Danish: KDM Dannebrog) was launched by Queen Alexandrine at Copenhagen in 1931, and commissioned on 26 May 1932. 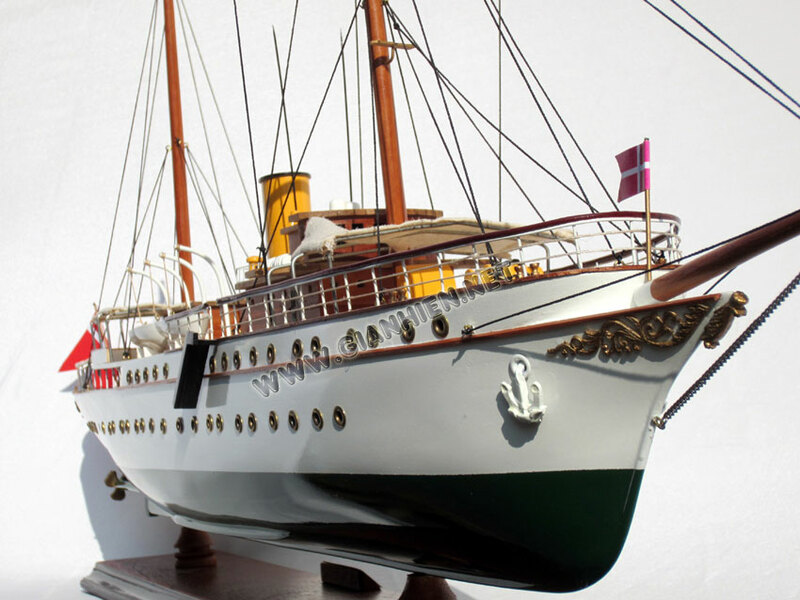 The yacht now serves as the official and private residence for HM The Queen of Denmark, HRH the Prince Consort, and members of the Royal Family when they are on official visits overseas and on summer cruises in Danish waters. 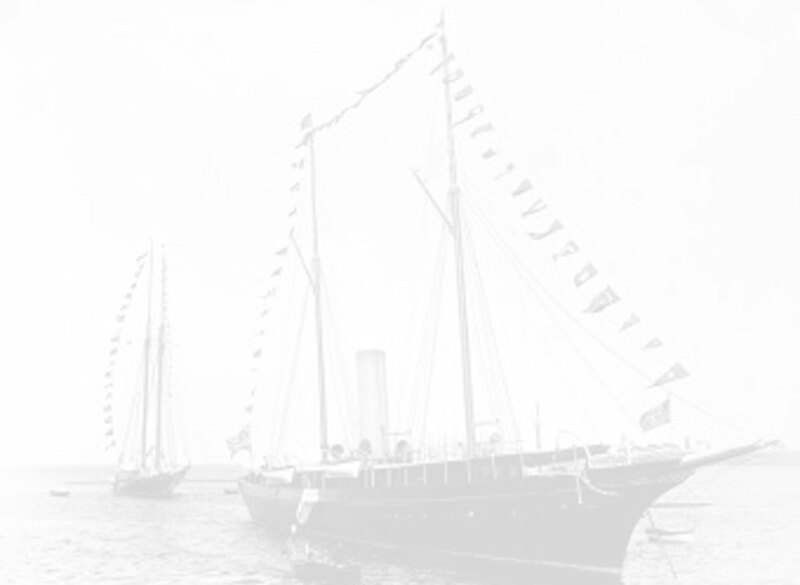 When at sea, the Royal Yacht also participates in surveillance and sea-rescue services. The Dannebrog, named after the flag of Denmark, was built in 1931–1932 at the Naval Dockyard in Copenhagen. 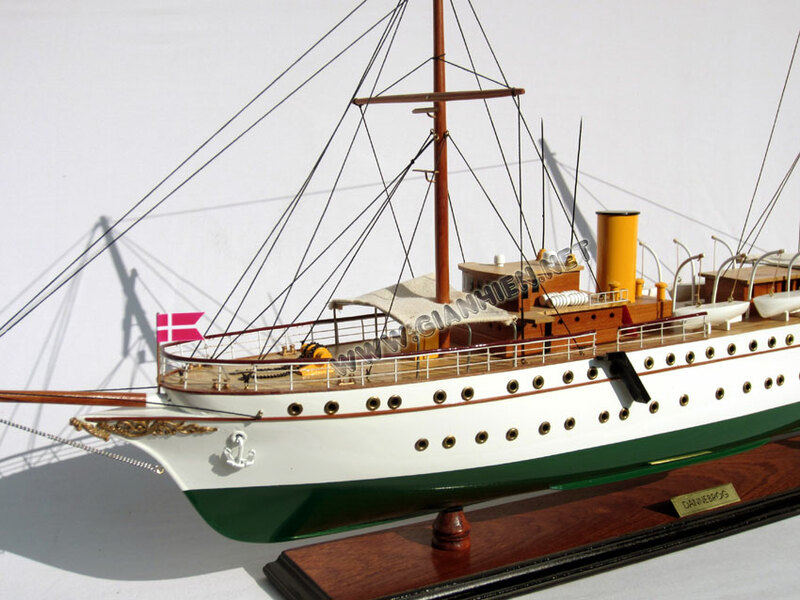 She replaced the previous royal vessel, an 1879 paddle steamer, also called Dannebrog. 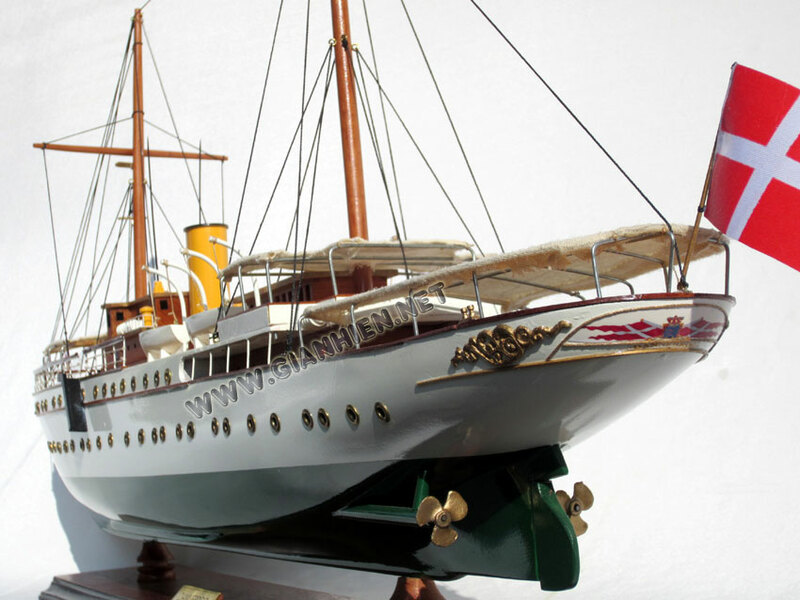 The yacht has dual functions: it is primarily the Royal Yacht during peacetime; it can become a hospital ship during emergency alerts or war. The ship’s hull is a riveted steel construction on transverse frames. The ship has a clipper stem and an elliptic stern. Viewed from the side, the ship may be divided into two sections. In front of the funnel there is space for the crew, any cargo, and the engine. At the rear is the Royal Apartment. This could accommodate patients if ever the yacht were used as a hospital. During visits to Danish and foreign ports the covered quarterdeck is used for receptions. The Royal accommodation comprises studies for HM The Queen and HRH The Prince Consort, a dining salon, a lounge, the bedroom, etc. 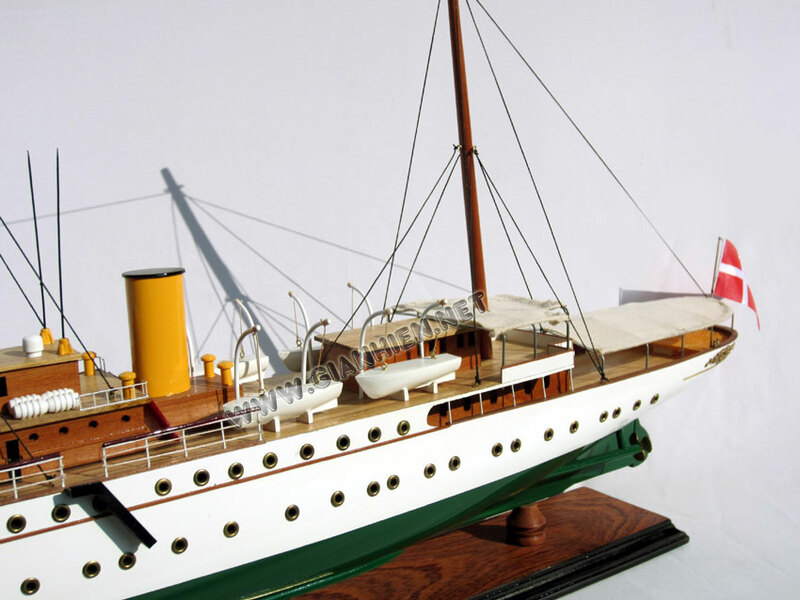 HM The Queen and HRH The Prince Consort have taken a personal interest in fitting out the vessel and the choice of furnishings. 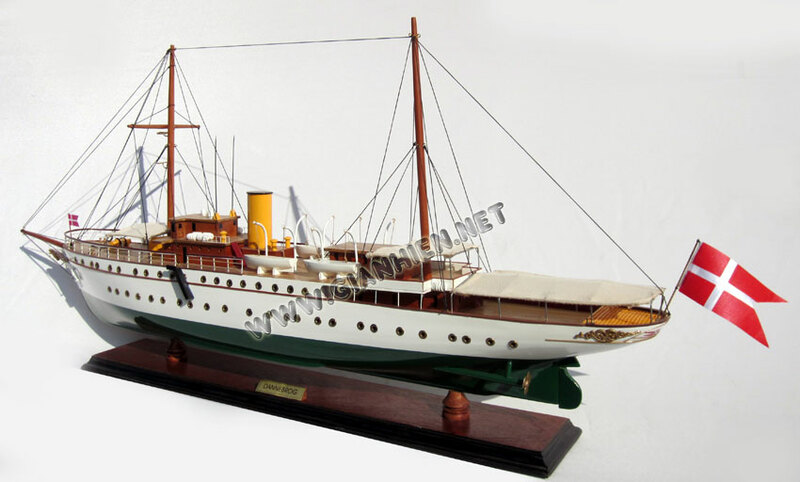 The Royal Apartment contains furniture and fittings from the previous 1879 Royal vessel. 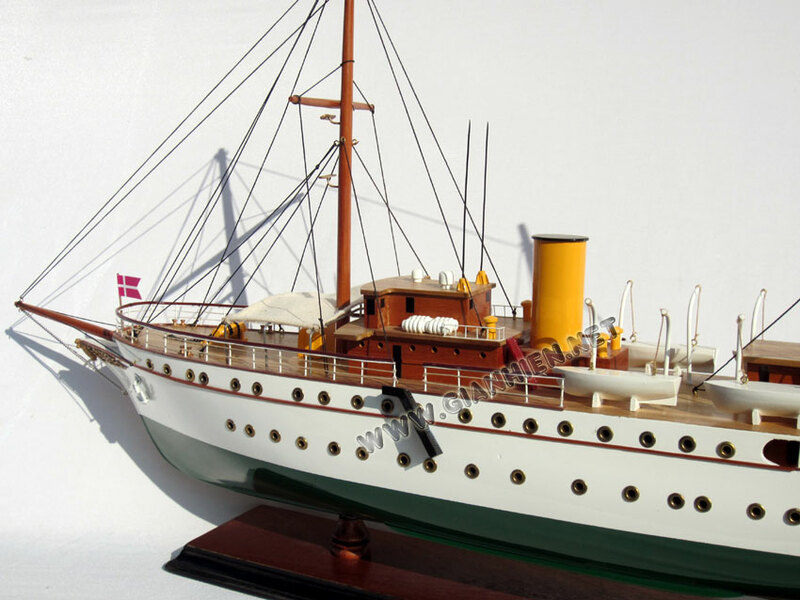 The Royal Yacht Dannebrog is an independent command, administered by the Chief of HM The Queen’s Naval Household, who is a member of the Royal Household. The crew of the Dannebrog comprises 9 officers, 7 sergeants, and 36 enlisted able-seamen - all have been hand-picked from the Navy. The officers are normally seconded for periods of two to four years, whereas the able-seamen stay for just one summer. 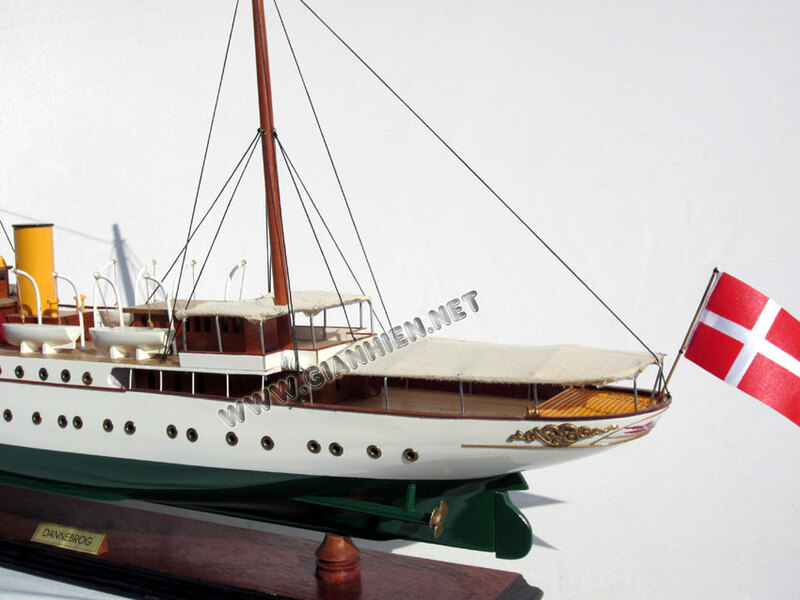 Since it was commissioned in 1932, the yacht has travelled more than 300,000 nautical miles (600,000 km) and visited most of the ports of Denmark, Greenland, and the Faroe Islands. The yacht has also visited European ports, especially in France and cruised the Mediterranean and the Caribbean Seas.